A craft knife is one tool all creative minds and hands out there ought to have a go at using regardless of whether you are embarking on a little DIY project or making some money through your work. Since time immemorial, these dainty pieces of equipment has helped many people cut out intricate shapes while scraping and carving. They come in handy for basically any crafts where you need a knife rather than a pair of scissors. 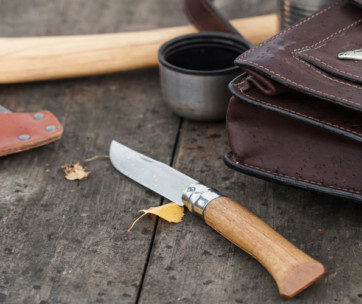 Seeing as there are a number of different brands and makes out there, it is advisable for one to have a sense of direction when looking for a craft knife altogether, so here is the lowdown on the best craft knife currently on the market. 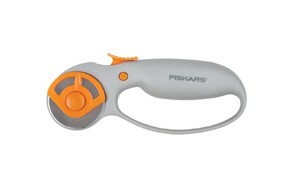 Cutting stuff up has never been as fun as it is when you are using the Fiskars 195210-1001 Comfort Loop Rotary Cutter, but you best believe that regardless of all the fun you can have with this craft knife, it will definitely deliver on all levels. The attention to detail shows forth on when it comes to this item, seeing as it comprises of a high-grade, precision ground, 45-millimeter premium steel which will give you an altogether lasting sharpness that every blade should aspire to possess. It has a unique design that is characterized by a curved yet looped handle which will provide a perfect fit for any hand and as such, you will have optimum control over the cutter itself. It also offers you the freedom to maneuver other materials while you cut away along with its sleek sliding button which controls the length and position of the blade; it can elongate the blade during use, lock it in the position you desire as well as retract it completely so that no one gets hurt while it has been put away. All in all, you have total control of the blade at all times. Overall, this craft blade is quite a handy piece of equipment and can be used in various capacities; it is a great tool for cutting multiple layers of fabric, paper, felt and even vinyl, so you are in luck if you want to work with a number of materials. The cherry on the top is that the blade can be assembled to either side. Gone are the days where left-handed folk have to struggle with products solely meant to be used by their right-handed counterparts. 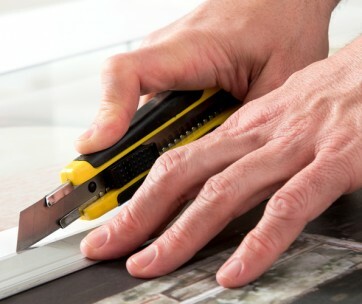 Make sure you also check our guide to the best utility knives. If accuracy and precision are what you are after, then there is no need to look any further because, in the X-ACTO #1 Knife, Z Series With Safety Cap, you will find both these attributes and more. This Exacto knife is what other brands of craft knives are striving to produce; this is very much because they deliver on all levels and will leave you with a finished product that does not only look as professional as can be but also involves a stress-free execution process. As aforementioned, the cuts that this x-Acto knife delivers are beyond professional looking; much of this can be attributed to the fact that it is as versatile as can be with a #11 fine point zirconium nitride-coated blade which is sturdy, long-lasting and super sharp. So, be sure to handle it with all amounts of carefulness in order to avoid any work-related injuries. Another aspect that really places this craft knife up there is the fact that it is extremely lightweight and this it owes to its handy aluminum handle; as a result of this, it is so easy for you to make fluid and accurate cuts on whatever material it is that you are working on. Speaking of the materials that this stellar blade can cut through, there are quite a few ranging from softer materials such as paper and plastic to the tougher ones such as thin metal and balsa wood. All in all, it is evident that this is a handy piece of equipment that any craftsman would be fortunate to own and make use of. Another stand out aspect of this device is the fact that it has numerous blades for different projects; fret not, there is nothing confusing about this seeing as the process of swapping between blades is as stress-free thanks to its easy change blade system. To ensure your safety and to make the storage of this x-Acto knife easy, it is fitted with a safety cap; so it is up to you to remember to put it back on after usage. You may also like to check our guide to the best box cutters. It would seem that this next brand is quite the forerunner and pacesetter when it comes to making top-notch craft scalpel blades, and as such, it is given that the X-ACTO #2 Knife With Safety Cap is a great product overall. With this knife you can easily make accurate and precise cuts into many materials ranging from medium to heavyweight; some of these materials you can easily work on are paper, plastic, metal, film, acetate and even wood. It may seem like a complicated piece of equipment due to the range of things it is able to help you achieve, but there is no doubt that this craft knife is as easy to use if not easier than others. For this reason, it is fitted with an easy-change blade system that enables any user to simply swap blades. And yes, this model also comes with different blades to suit each task as well as any material you bring its way. Another aspect of this knife that promotes ease of use is its medium-weight aluminum handle which makes for agile and precise cuts; this will give you the confidence you need to cut through all sorts of material and still deliver perfect craftsmanship. The cherry on the top of all this is that it comes with a safety cap which does not only deliver on the front of safety while it is stowed away but it also guarantees your safety in the case that you have to move from one place to another with the blade. Seeing as it is incredibly sharp, no precaution is too much to ensure that you do not get nicked or sliced during the work process and afterward. All in all, if you are in the market for a craft knife that will give you the accuracy you need as well as the much-needed safety then this is the product for you. Be sure to also check out our list of the best pen knives for more great items like this. Person-centered products are hard to find these days and in the case that you are looking for something that could potentially cause you worlds of pain such as a craft knife, then you should most definitely opt for a product that has your needs and safety at the center of its being. The Fiskars 163050-1001 Fingertip Craft Knife is all the above and more; it is sure to give you the polished and professional look you desire from a craft scalpel and also put a number of provisions in place to cater to your all-round safety while in your workspace. In addition to all that, its overall design is there to give you optimum cutting precision and as such, any material you are working on will come out looking perfect whether you are a beginner or a professional. In order to achieve this, the craft knife has an ergonomically sculpted finger loop handle that will give you all the control you need to produce the particular quality of work you strive for. The handle is accompanied by a sharp blade that is more than perfect for cutting designs in confined spaces as well as trimming straight edges. Gone are the days when you have to struggle to deliver when it comes to intricate cuts and dainty projects. All in all, any cutting that needs serious attention to detail is perfect for this craft knife. Perhaps the only limitation that this device faces is that it mainly cuts through lightweight material such as paper, cloth, chipboard, and overlays. Nevertheless, the aforementioned fact does not take anything away from its overall handiness; it is fitted with a distinct handle shape that prevents it from rolling off your work table and causing any unforeseen accidents. It also comes with a safety cap that furthermore ensures that you will not get hurt within the course of your work or even after. Judging from all this, it is definitely a well thought out product that any craftsman or DIY enthusiast would be privileged to handle. Our handy guide to the best EDC knives features more great products like this. Do you consider yourself a connoisseur of arts and crafts? Well, every workman needs his tools and not just any tools, the kind that can deliver them the highest quality of work possible. It may sound too good to be true but Mlife Precision Carving Craft Knife Stainless Steel Hobby Knives can deliver on all these fronts and more and there is no doubt that the producers of this blade put in a lot of work to make sure that it stands out amongst other hobby knives and soon you shall see why. This hobby knife is as versatile as they come and it is well suited for a range of projects that could involve models, artwork, precision cutting, detailing, trimming and even stripping. To achieve all this, the craft knife itself employs the use of a lightweight metal handle with a textured grip which altogether reduces fatigue and also makes it easy for you to control the blade while cutting. When looking for a craft knife, the ability to maneuver it easily should be right at the top of the list of conditions it needs to fulfill in order to make it into your crafts collection. More on the blade and its handling; the knife itself uses an easy-change blade system that allows users to replace the blades as swiftly as possible in order to accommodate the needs of different projects and materials. Some of the material that this knife can cut through easily are paper, plastic, metal, film, acetate and even wood so you assured of the required versatility especially if you are one to work with material ranging from hard to relatively soft. Included in the whole package is sixty pieces of fine point blades that fit all X-Acto blades and additionally add some longevity to your X-Acto knife as well as your other utility and hobby knives. So, you are free to do some mixing and matching as it is evident that this device does not discriminate at all. To crown it all up, it comes fitted with a safety cap that will keep you from having any work-related accidents during or even after the whole work process. There is no doubt that this product is all about meeting the needs of its users on all possible fronts and as such, it would be a worthy addition to anyone’s tool collection. Love this product? Check out our review of the best pocket knives for our top picks. For 25 years, this next brand has been delivering top-notch blades and knives all-around. In addition, they have designed products made with materials of the highest quality and best believe us when we say that the Excel Blades K1 Hobby Knife with Safety Cap is not left out on this front. It is one of the most popular hobby knives out there, fitted with a carbon steel straight edge blade which can easily be used to trim materials such as wood, plastic, paper, and even leather. It has a body made out of aluminum which fits with all standard craft knife blades such as the Xacto knife, so you can be sure that it is an accommodating product all around and you can mix and match all you want and still receive the same top-notch quality of work. In addition to this, it is also fitted with a 4-jaw aluminum chuck that has front blade release. All in all, this enables you to have a firmer grip on the blade and as an extension of that, you will be less likely to be involved in any work-related accidents. It is a great option in the case that you are a beginner; nevertheless, that does not mean that professionals cannot benefit from the all-around efficiency of this craft knife. This simply just translates to the fact that it is easy to use no matter the level of expertise you operate on. 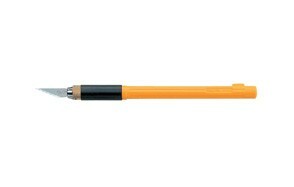 The blade of this stellar device is double-honed for a stronger ultra-fine point and they also slightly flex in order to avoid any breakage during your work session which also contributes towards the general durability of the product. The crown on the top of all this is the shatter-resistant safety cap which will ensure that you are safe and the blade itself is safe. So, if you are thinking about picking up a hobby in the line of arts and crafts, this is definitely one of the best options out there. Find more great products like this by checking out our guide to the best Benchmade pocket knives. Most good things come in pairs, sets and generally, do not stand all alone. 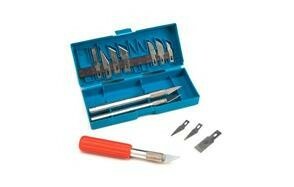 If you are in the market for a great craft scalpel set, then check out the Darice 16-Piece Hobby Knife Set. As far as you have the interest, this hobby knife will enhance those skills and make your work look as professional as can be. The set itself comes in a lovely and dainty blue storage case that will protect and preserve your tools while you are not in need of them. The thing about this particular set is that it is conceptually so well thought out; the presence of the case provides an avenue for all users to meticulously arrange both the blades and handles in order to have easy access to them when the time comes. 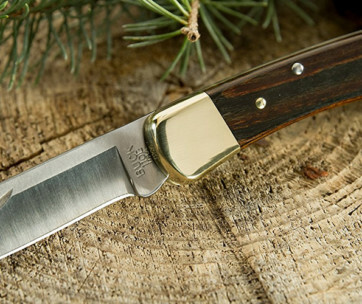 Additionally, good storage also makes for a more durable product altogether, especially in the case of this knife that is made solely of nickel. Although nickel gives the durable finish any user would like in his or her product, there is still a need for one to adequately store it in order to foster longevity. Within the snap shut case you will find a sixteen-piece set that includes about three knives, three handles as well as 13 blades. Speaking of the blades, they are a number of them that come with different cutting edges; this will provide you with the versatility you need to move between blades for different products altogether. The part of the handles offer added versatility as one of the handles is a #1 handle while the other is a #2 handle. All in all, this is a product that will give you a good worth for your money, it is affordable yet delivers service way above its given price. Some users have even put it out there that it is just as good as an X-Acto knife which is quite high praise altogether. So, if you are on a budget and need to get some arts and crafts done, this is a sure choice for you. Don’t forget to also check our guide to the best Karambit knives. When it comes to any craft, it is not just about having an abundance of supplies or even having the most expensive ones, it is more about finding the right ones that will end up giving you the finish that you desire. This and more you will be sure to find in the OLFA Cushion Grip Art Knife, seeing as it is not only an efficient art scalpel but one that has the comfort of its users in mind at all fronts. How does it serve up efficiency hand in hand with comfort? First, the bottom of this craft scalpel is slightly weighted and all in all, this makes for improved balance as well as stability. In addition, it features a unique anti-roll device that is built in solely for your safety; no one wants to end up hurt at the end of the day and that is why this feature is put in place to keep your knife firmly on your work surface till you are done with it and ready to put it away. What’s more, you have the handy option of changing blades while working with the use of a strategically placed blade holder; all you have to do is spin it and you will be working with a whole new blade. It is becoming quite clear that the manufacturers of this device are quite concerned about the safety of all the users of this blade, incorporated in it is an anti-slip handle which ensures that the blade is held in place while you make use of it. That alone drastically reduces the likelihood of an accident occurring. This product is also very comfort-oriented and as such it has a cushion grip handle which will reduce any stress that you may feel during the work process. With efficiency, safety and comfort at the core of its being, this art scalpel would be a great addition to anyone’s craft tool collection with its 2 precision KB4-S, 1 chisel KB4-F and 1 curved carving KB$-R art blades. Just because it’s a hobby does not justify the purchasing of any mediocre tools. For the best craft, you surely need the best set of tools and if you have been scouring the market looking for just that, then today is your lucky day. Though this product comes last on the list, believe us when we say that it is not the least; the Nicpro 123 PCS Precision Cutter Hobby Knife Set will give you the stability and comfort you need to get to the bottom of any task. This craft scalpel set offers up lightweight precision when it comes to cutting through all sorts of material; if you want to cut through wood, cardboard, leather, foam, cloth and even plastic, this blade will come through and give you the precise cuts that you need and to make it even better, one size of blade can cut through all these types of material, that reduces a lot of stress on your part. What delivers these precise cuts and what not? The perfection of the craftsmanship can be credited to the SK-5 high carbon steel knife blades which will enable users to cut smoothly without causing any tearing or ripping in their work. Included in the set are three hobby knives as well as 120 pieces of #11 classic hobby blade replacements, it may sound too good to be true, but this product is very user oriented and as such it will deliver on all fronts. The blade itself comes packaged in a handy case which will not only keep the blades (and you) safe but will also keep them lubricated. As such, you can rest assured that they will remain sharp for quite some time and in general, they will be quite durable. This craft blade also features a metal threaded anti-skidding component that does a world of good when it comes to your safety as well and in addition, there is a safety cap attached to every knife; this is a precaution to make sure that your safety is guaranteed even when you are not using this device. In the very rare case that you are not satisfied with this product, there is a provision made for a no-questions-asked Refund or Replacement. There is really nothing you have to lose when it comes to the purchase of this stellar product.